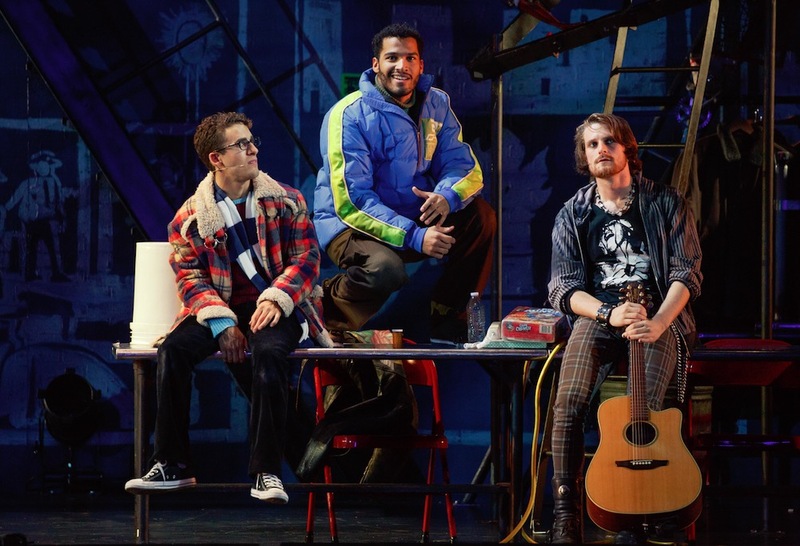 Lisa Condit spoke with Marcus John, who will play Benny in “RENT 20th Anniversary Tour” when it comes to The Hanover Theatre for the Performing Arts April 5-8. Read on for highlights or listen to the full interview below. Lisa: What originally attracted you to this storyline and your role in “RENT”? Marcus: This show is important today, just as it was 20 years ago. I was so young when it first came out. At the core, it’s a show about love and tolerance, and that’s something we need every single day of our lives. Lisa: On your website you have the quote, “Pray often. Worry not.” Is that something that you bring to your role in “RENT”? Marcus: That’s a quote that I started using in college, and it became my daily mantra. I find that if you focus on finding ways to survive the day without worrying, you’ll be so much better off. I think worry is a useless emotion. Lisa: What are some of the things that you’ve learned on the “RENT” tour? Marcus: A lot of people would call my character the villain, but I try to approach it as someone who just doesn’t see things the way everyone else does. At the core, he’s trying to do right by everybody. It’s about finding ways to adapt to people who see things differently and finding ways to still love them. Lisa: If somebody asked you, “Is this show good for me to bring my teenager to?” What would you tell them? Marcus: I got this question from my family, too. I think it is. I think it might expose them to things they haven’t seen yet, like the gay culture, but these are things that exist in our world, and I don’t see the benefit of hiding them. I will say there is a bit of drugs and those characters that are battling with that vice. But I think it is a learning tool, and that’s what theatre is for. Lisa: The soundtrack is epic. What is your favorite part of this show, or one scene that audiences should be looking for? 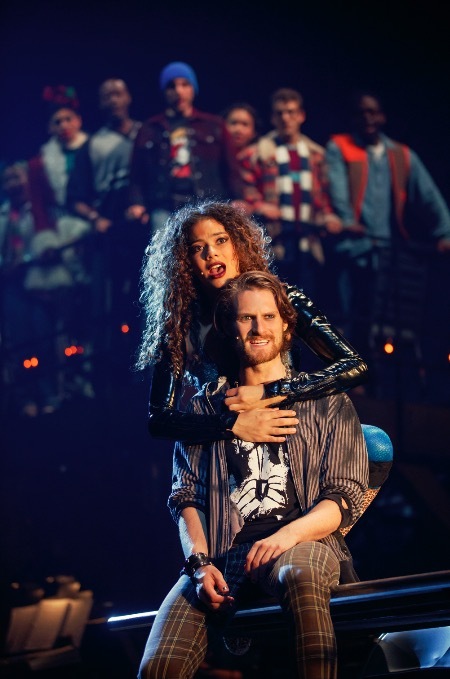 Marcus: Everyone knows the song “Seasons of Love.” At the top of the second act, the whole cast comes out and stands in a line at the edge of the stage. Everyone knows it’s coming. They’re already cheering and crying. Just that three minutes of sharing, not as characters, but as actors looking at the audience saying, “Hey. Here’s an option. A year should be measured in love.” I look forward to that every single night. WHAT IS YOUR FAVORITE MOMENT OR TAKEAWAY FROM RENT?